!! MESA HIGH SCHOOL - 2016 D1 ARIZONA STATE CHAMPIONS !! 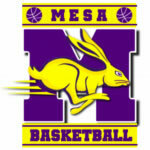 Copyright © 2009-2013 MesaRabbits.com Mesa High School Jackrabbits Athletics Send mail to djeyring@cox.net with questions or comments about this web site.